Get all of the latest information and watch every minute of the game live. Western Sydney Wanderers head into the round 14 clash still winless, but a win over the Melbourne Victory could inspire a season turnaround. The two sides have been involved in some excellent clashes and expect Tuesday’s game to be no different. Tony Popovic has recalled imports Vitor Saba and Seyi Adeleke into the squad, while the Victory welcome back star winger Fahid Ben Khalfallah from suspension. The Wanderers come into the game on the back of an uninspiring 0-0 draw with Central Coast, while the Victory suffered a 2-1 home loss to ladder-leaders Perth Glory in Geelong on Friday. Both sides will desperate for a win here, so make sure you tune in! 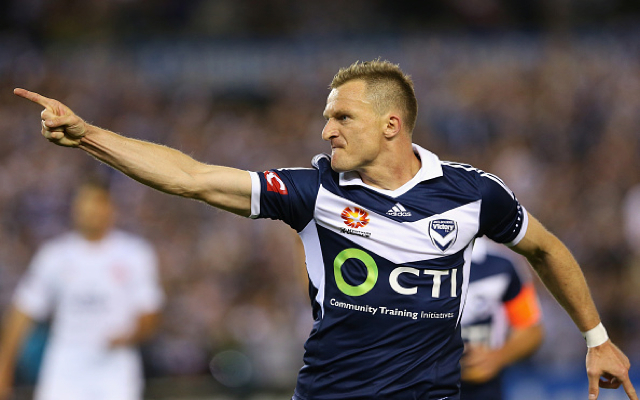 MELBOURNE VICTORY: 1.Nathan COE (GK), 2. Jason GERIA, 4. Nick ANSELL, 6.Leigh BROXHAM (C), 7. Gui FINKLER, 8.Besart BERISHA, 9. Kosta BARBAROUSES, 10.Archie THOMPSON, 11. Connor PAIN, 13. Andrew NABBOUT, 14. Fahid BEN KHALFALLAH, 16. Rashid MAHAZI, 18. Dylan MURNANE, 20.Lawrence THOMAS (GK), 21.Carl VALERI, 22.Jesse MAKAROUNAS, 24. Scott GALLOWAY, 26. Jordan BROWN.